This very pretty vase was made during the Art Deco period. 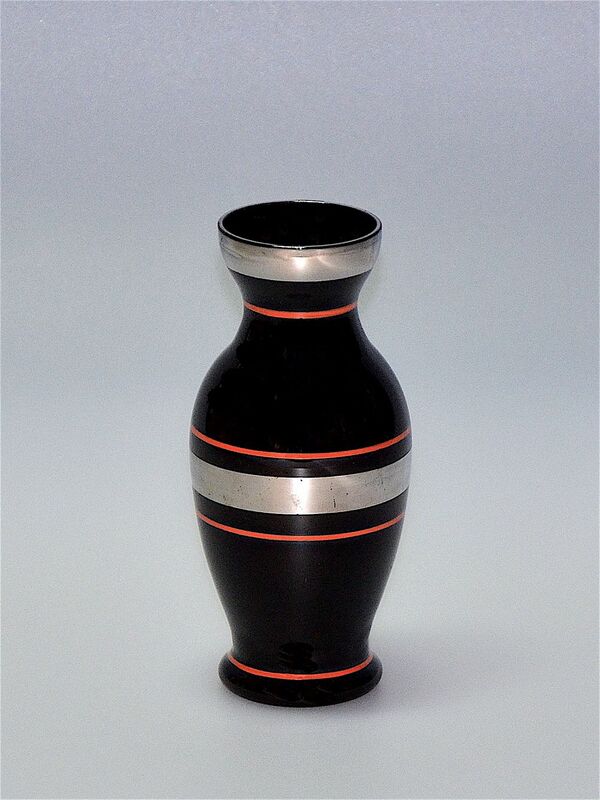 It is made of black coloured glass with silver and orange-red enamel banding. It is not signed but may well be by the Czechoslovakian company HEM.